Set against a background of economic decline, the rise of Islamic Jihad, and the social engineering imposed by the ideologies of multiculturalism and feminism, this novel becomes more topical and relevant with every month that passes. Two killers, two fatal agendas, two harassed cops, one broken nation. In a society spiralling out of control, the establishment elites of political correctness have been targeted and their time is running out. A series of bloody deaths is causing panic in a city in England. Someone is murdering teenagers among the underclass by disseminating a lethal recreational drug which, with morbid humour, the mainstream media have termed ‘snuff’. But is the snuff-killer just some crazy drug dealer who is pushing a deadly narcotic regardless of the consequences or is he killing these young people deliberately for some deeper motivation of his own? Two police officers, Detective Inspector Bapoto Smith and Detective Sergeant Gloria Kovač, are a part of the task force unit working the case. Lacking any forensic evidence or public support, they must pursue their investigation hindered further by the puerile restraints of the political directives, policies, and procedures that make up modern policing priorities. At the same time a second murderer, Hereward, is on a deadly mission of his own. Hereward is abducting members of the political and cultural establishment. For fifty years these reactionaries of ‘correctness’ have adamantly refused to listen to anyone who disagreed with them. Now Hereward is making them listen. The corpses of those to whom he speaks are subsequently found dead by dehydration, bruised from the chains which had bound them. Confronted with this terrorism the ruling elite are frantic. Yet both murderers have political motives, so is the serial killer really a terrorist or is the terrorist really a serial killer? On a stormy night, with the rain pouring down and the sky split by lightning, a woman arrives home to find a strange man in her remote country cottage. But this is no routine thriller. What happens during that night is impossible to predict. Trapped together during the endless hours of darkness they must try to find a way to communicate with each other. It won’t be easy. Have women and men ever been more alienated than they are today? Has there ever been a time in history when so many women have wanted to rid themselves of men and so many men have wanted nothing to do with women? 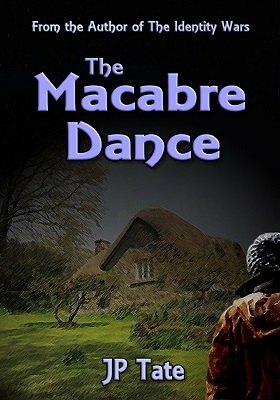 The Macabre Dance is a dramatic depiction of this estrangement of the sexes. It is, by turns, both shocking and humorous with a shrewd wit that can be severe in its judgements of the poisoning of gender relations over the last half a century. For some readers there will be a terrifying sense of recognition. 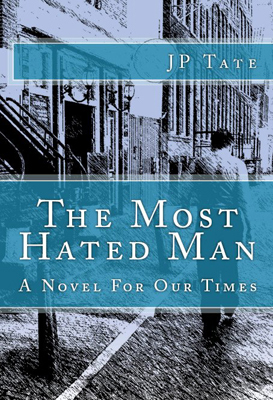 The novel’s message is as timely as it is tragic. Is this a nightmare vision of terminal gender alienation? Or is it just a story from the society in which you live? This is a serious novel about human relationships, not simply a piece of superficial erotica, but readers should be aware that it deals with very adult themes and therefore includes graphic sexual scenes. “Dutiful” is the portrait of a woman: Isabel. The story explores the fascinating paradoxes of one woman’s lifestyle as she combines career accomplishment in her public life with sexual masochism in her private life. The intensely reflective narrative which unfolds in Dutiful offers intriguing insights into the nature of a successful consensual-sadomasochistic relationship between a male dominant and a female submissive. The novel looks beneath the surface exteriors of what mainstream society believes about sadomasochism and delves more profoundly into the personal freedom derived from being truly oneself. Isabel’s married life with her husband/lover Gabe has taught her that love only rests secure on complete sexual honesty. She knows that if you are loved without being understood, then you have to live in fear that one day your lover will learn the truth about you and not love you any more, but if your lover understands and accepts who you really are, then it is truly you that he loves, and you can love and be loved without fear. (1) We may all think that we’re basically decent, principled people. But are we? Discover how Sylvie was forced to face up to the truth about herself in “The Mirror”. (2) Find out what happens in “Sadie’s Triumph” when an atheist called Sadie dies and then wakes up hanging naked from an infinitely long chain in front of ‘the adjudicator’. (3) A man who can remember the future but has no knowledge of the past? Read about the perils of precognition in “The Man Who Wasn’t Nostradamus”. (4) A truly harrowing tale of a woman driven by circumstances to perform a dreadful act. But does her suffering excuse what she did? Decide for yourself in the terrifying and deranged “Pig Squeal”. (5) In “Flush” a fellow called Chaff has some serious decisions to make about his freedom. The fewer commitments he has, the more free he becomes. But what to get rid of? (6) Don’t believe in E.S.P? Neither does Mr Wilber. So what will he do when his visions show him glimpses of a horrible future? Find out in the tragic tale of “Mr Wilber’s Decision”. (7) In “Lifeboat” two very different men face up to the same painful death. But what does one of them know that the other doesn’t? Imminent death concentrates the mind wonderfully, they say. (8) In “The Drop” a man makes a contract with himself, giving himself three years to live. But why would he keep the bargain? (9) Cleo’s appalling harridan of a mother is in for a terrible shock when she uncovers her daughter’s astonishing secret in “Cleo’s Rebellion”. (10) Is there a place for faith in science? You may not think so after you have read what happens to Professor Helene Tully in “The Tully Machine”. (11) What makes a person who they are, their body or their mind? It’s a very real dilemma for the poor tormented soul in “Adam / Eve”. (12) Is the venerable author of these tales destined to meet his end by foul play? 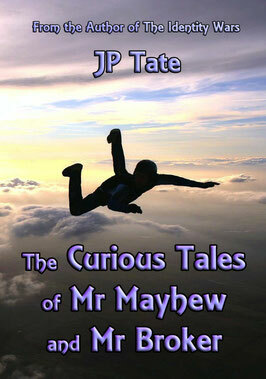 Discover the truth in the final tale, “Mr Mayhew’s Murder”. Nobby Clarke wasn’t anyone’s idea of a man with supernatural powers. Nor would anyone have thought him a dangerous political radical. Yet he was fated to be cursed as both. His story, told by an anonymous official within the secret government, is a reflection of the times in which we live. A man without any charisma, physical attractiveness, or social skills, Nobby Clarke nonetheless makes a success of his stage act in the seaside theatres of England. But is his performance merely a clever mind-reading act, or is he actually gifted with the power of clairvoyance? Nobby seems to know things which he could not possibly know unless he does indeed possess paranormal abilities. But either way, everything might still have turned out okay if he hadn’t been dragged into the duplicitous world of contemporary politics. That’s where the serious trouble begins. It soon becomes apparent that the point at issue is not whether Nobby is a genuine clairvoyant. The real question is: what place is there for a truth-teller in a post-truth society? 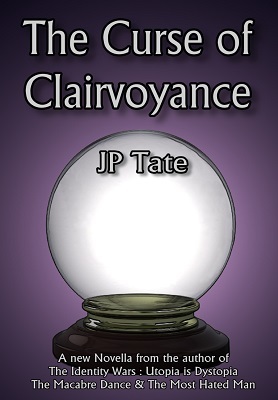 The Curse of Clairvoyance has all the usual acerbic wit and political insights in a bite-sized package. It can't fail to please readers who are not on friendly terms with the authoritarian powers-that-be.